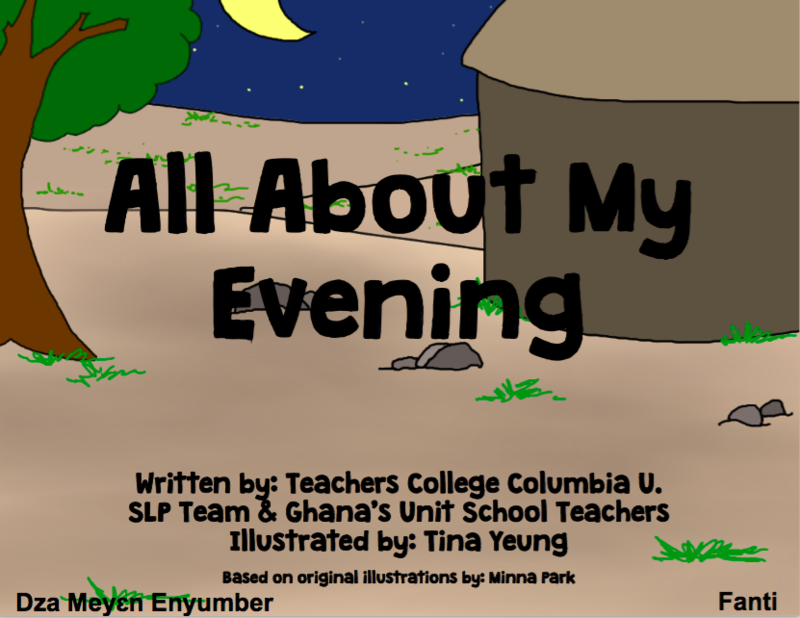 The Fanti “All About Me” books are part of a series of Ghanaian language books developed as literacy tools to be used by special education teachers in unit schools throughout Ghana. With these books, children can improve their vocabulary, literacy, and phonological awareness skills in both English and their native Ghanaian language. Books are available in English, Ga, Asante Twi, Akuapem Twi, Fanti, and Ewe. You may download PDFs of each of the 4 Fanti “All About Me” books by clicking on the links below. Check out this video of Belinda Bukari and Felicity reading the All About Me book on going to the market in Fanti about how the student goes to the market for his mom and uses the AAC market cards to buy the goods his mom needs for the family. Watch Belinda and Felicity role-play with Felicity as the market seller and Belinda as the student. This is for a class of students with intellectual disabilities and autism and cerebral palsy in Medina, on the outskirts of Accra, Ghana.